It is a miracle that Egypt’s Late Palaeolithic rock art has survived for at least 15.000 years – and especially for the last 50 years of intensive modern development in the country. At Qurta by Kom Ombo, for example, the most well-known site of such rock art, widespread quarrying from the 1960s amazingly did not destroy the most important locations. During the March 2011 field season at Qurta by the Belgian Archaeological Mission headed by Dirk Huyge of the Royal Museums of Art and History in Brussels, I aided in the mapping and general survey of the area. The field season was particularly aimed at dating the rock art by OSL (Optically Stimulated Luminescence). This is possible since some panels are hidden below wind-blown sand, which deposition date, or last exposure to sunlight, can be revealed by OSL. Thus, the covered rock art must be older than the sand. Excavation at Qurta in March 2011 revealed panels covered by sand, which can be used to obtain a minimum age of the rock art using OSL. 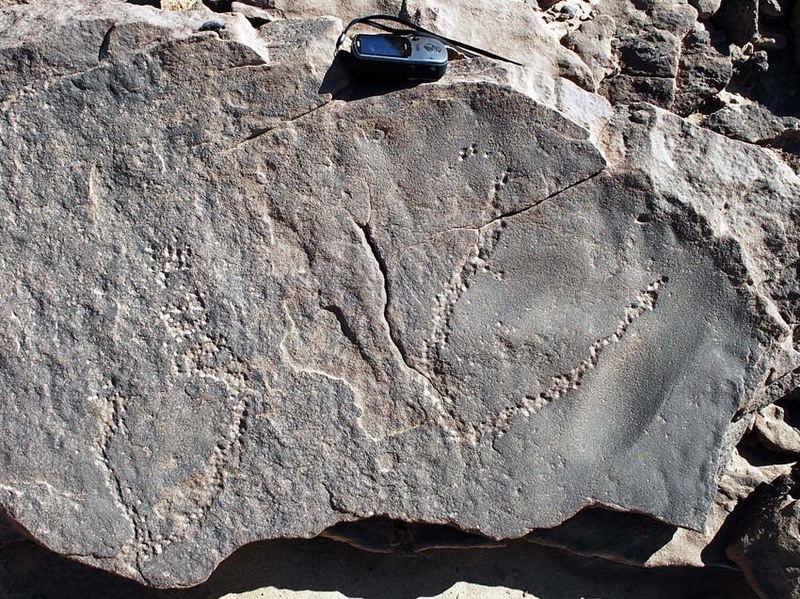 Former OSL dating at Qurta, which is now being published by Dirk Huyge and his team, has confirmed that the naturalistic rock art is approximately 15.000 years old, the oldest in North Africa, and ties in with Ice Age art in Europe. In the 2011 season we excavated – and found – further covered panels; now the sand will be analysed, perhaps pushing the date of the rock art even farther back in time? The panels have developed desert varnish, indicating that they were directly exposed to the atmosphere for quite some time before being covered by sand. The survey revealed new rock art features on top of the cliffs on which the naturalistic drawings are located. Much less “virtuous”, this rock art shows indeterminate lines and peck marks associated with rubbed depressions. Further interpretation will show whether it is contemporary with the Late Palaeolithic images. Importantly, it seems rather unlikely that widespread sandstone quarrying from the 1960s onwards destroyed much rock art, though some has clearly been affected . This is because the site was investigated by a Canadian expedition in the 1960s. This expedition found most of the still preserved rock art, but failed to understand the great significance of the findings. Modern quarrying started during or just after the Canadian survey, aimed for building houses in the nearby Qurta village – one of the many new villages on the Kom Ombo plain to which the Nubian population was resettled as their homeland was drowned by the rising waters of Lake Nasser (after the building of the High Dam at Aswan). 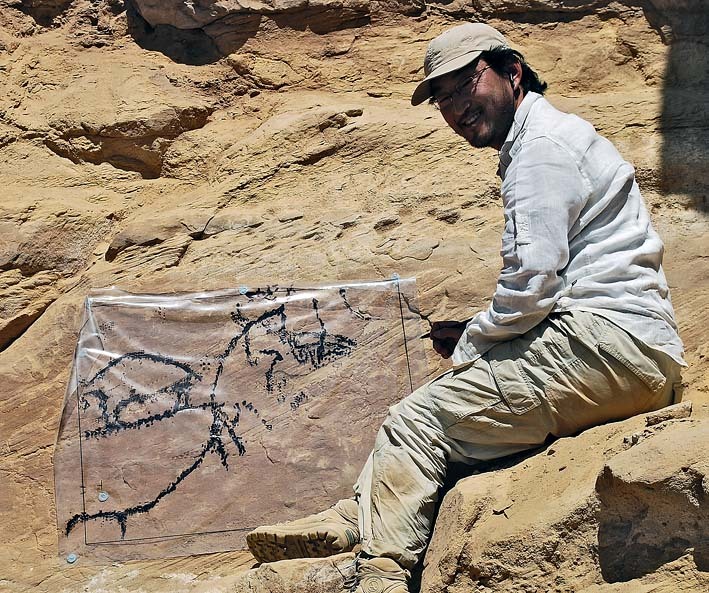 The 2011 season included a visit to the Late Palaeolithic rock art sites in Wadi Abu Subeira close to Aswan. These are surveyed and documented by a team headed by Adel Kelany from the Egyptian Ministry of Antiquities (former SCA). Like at Qurta, it is also a miracle that the Wadi Abu Subeira drawings have survived the intensive clay mining in the area. The Qurta and Subeira locations are protected and well guarded by the SCA and there is no evidence of destruction in the wake of the recent revolution in Egypt. The sites are not yet open to the public. This entry was posted in Ancient Egypt, Archaeology, New projects, Rock art and tagged Ancient Egypt, conservation, Cultural heritage, Qurta, rock art. Bookmark the permalink. 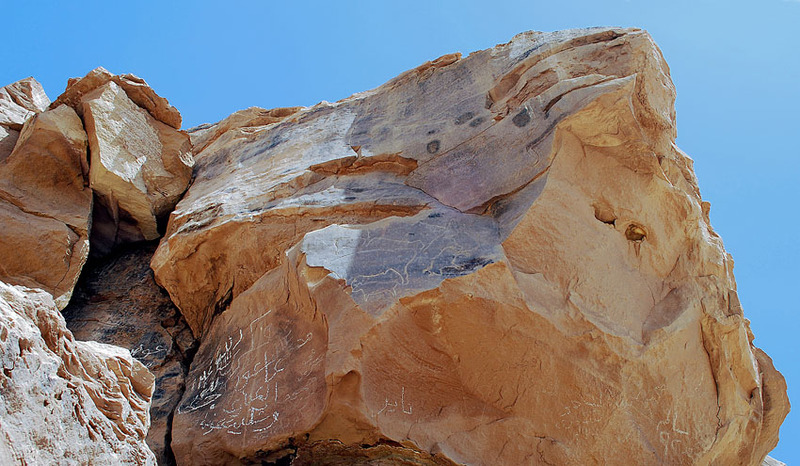 Please see the following update on the Subeira rock at: https://per-storemyr.net/2012/04/06/wadi-abu-subeira-egypt-palaeolithic-rock-art-on-the-verge-of-destruction. The site is now, unfortunately, heavily threatened by modern mining.